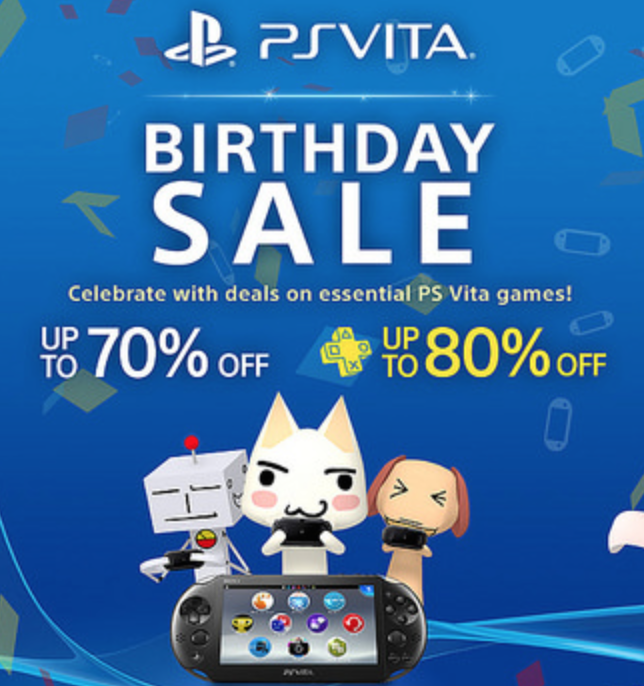 3 Year Anniversary PS Vita Sale! Today marks the third anniversary for the PS Vita. We have seen the evolution from the PS Vita, to the Slim PS Vita and PS Vita TV, but it is still the system we know and love! There are some great games available in this weeks PS Vita anniversary sale. The complete list of games on sale will be available below. As an added bonus PS Vita users can also download a Toro and Friends PS Vita theme and Fat Princess: Piece of Cake 8 Gold Coin Pack for free! What is your favorite memory of the PS Vita? Let us know below!